1. Instagram has made a small dent in Snapchat’s market this year with the introduction of their new ‘Stories’ feature. However we think that Instagram needs to up its game if it’s going to fully convert users from one platform to the other. Facebook, the owners of Instagram, have always been very keen to be the world’s leading social media platform and have sought to maintain their position at head of their market through constant innovation. For instance, in introducing the ability to broadcast live on the go, straight to your friends and family and not just your subscribers, features that rivals such as YouTube weren’t offering on an accessible enough scale, they have repositioned themselves as a power house in video content. If Instagram can offer features that Snapchat doesn’t have already, then I think they will be able to lure more people away from Snapchat. For example geotags and the ability to see people’s stories that are in locations near by you, so just as you can search for people, places and tags, you can also search for stories for places or people near your location. I mean, lots of us like to know what’s going on around us, especially if you’re travelling for example, when other people pictures, videos and raw and honest opinions could almost serve as a real-time Trip Advisor! 2. Twitter doesn’t need to increase its character count, it just needs to stay true to itself. Twitter has always been about sharing the most important snippets of information and this works. It was a good idea to allow photos to be uploaded without that taking up characters, great feature, but that’s enough. 3. Social media needs an OAP App, a social media platform that is built and designed with old people in mind. This could include features like sharing old music and reconnecting with old school friends and work colleagues from whom they may now be distant. Not only might this be a good tool for keeping some of the most vulnerable in our society feeling included, but it would also be able to offer elderly people an invaluable tech education that could teach them not only about other social platforms, but more importantly, about internet security in general. 4. Clean-Up Mode – We all have those things on social media that we would like to forget. A post that seemed really funny when we wrote it as a 14 year old. That drunken house party photo that seemed hilarious at the time but not so much now you’re friends with your boss on Facebook. That page you liked five years ago that continues to clog up your newsfeed with notifications. 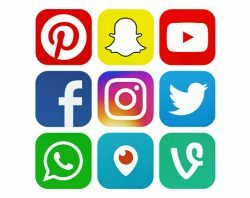 The introduction of an app that could go through and “clean up” your social media accounts would be a God-send to many people who want to undo some of the social media faux-pas that we have all made across the years. 5. Timehop is understandably one of Facebook’s most popular extensions. To introduce more ‘This Day in History’ sections or a separate ‘timeline’ that is about that specific day might be a nice addition to it, especially if you haven’t got any memories from a certain day. Sharing facts, figures and interesting pieces of information about each day in history would not only be educational, but it would be pretty fun too! 6. We’ve already seen Facebook introduce Profile Videos, so why stop there? Surely Cover Videos should be on the way soon, which would be pretty cool as they could be something that we could help create for our clients! 7. A possible new feature for Instagram could be making your profile look more like an abstract collage rather than cropping all of the images to square on your profile. It might not look as “organised” but if you upload a non-square image, you have done that because you don’t want it to be cropped!